So, episode starts out good. 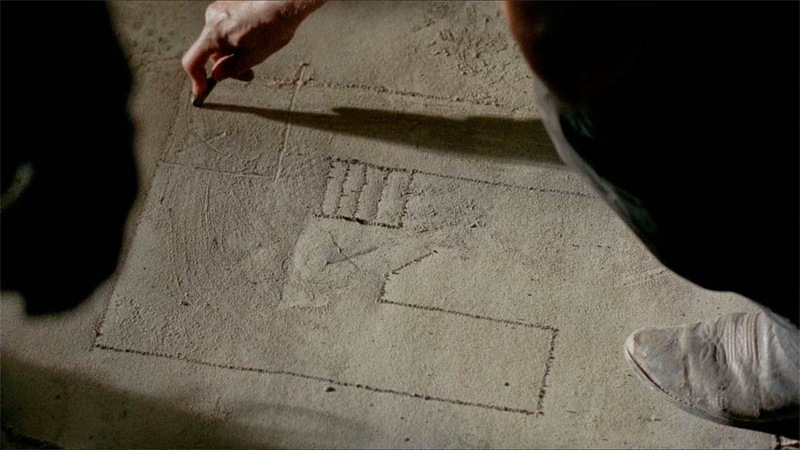 Rick's laying out the plan to take the hospital. They set up a distraction and draw out some of the cops, then move in stealthily. 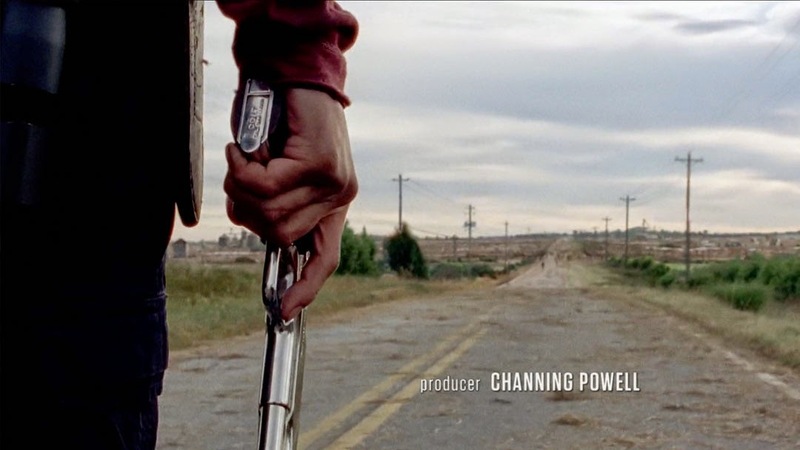 Daryl will take out the first guard. How's he going to do that? Slit his throat. Then they move in with blades and suppressed weapons. Sounds like we're in for a rocking, action packed episode, right? Tyrese, Mr. Gentle Giant, comes up with the "safer" plan of capturing some of their people and using them as bargaining chips. Ya, look how well that worked out for the Governor last season. The remainder of the episode is fairly mediocre: Team Rick tries to catch some of the hospital's people and all does not go according to plan. 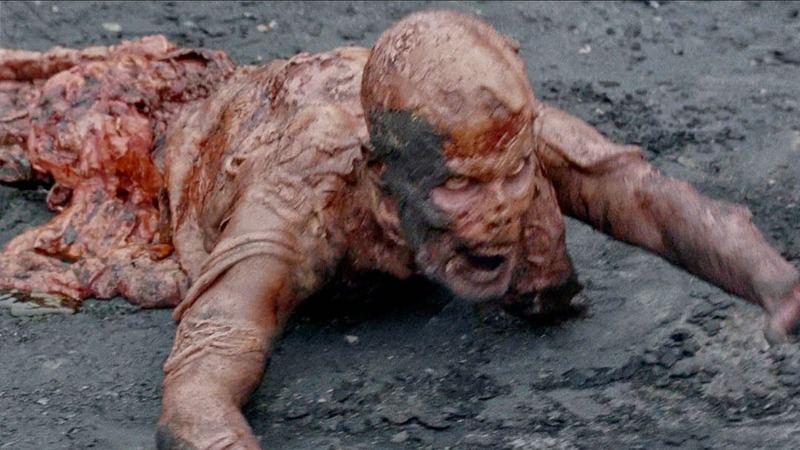 We jump between Team Rick's main plot line and some filler material with Team Glenn stranded on the highway and Secret Agent Beth trying to help out Carol. Pretty much a tease from the set up provided by last week's episode, with some fairly weak writing. Making the characters look stupid/incompetent in order to move the plot along is a major cop out. That said, there were a few upsides. Guns. 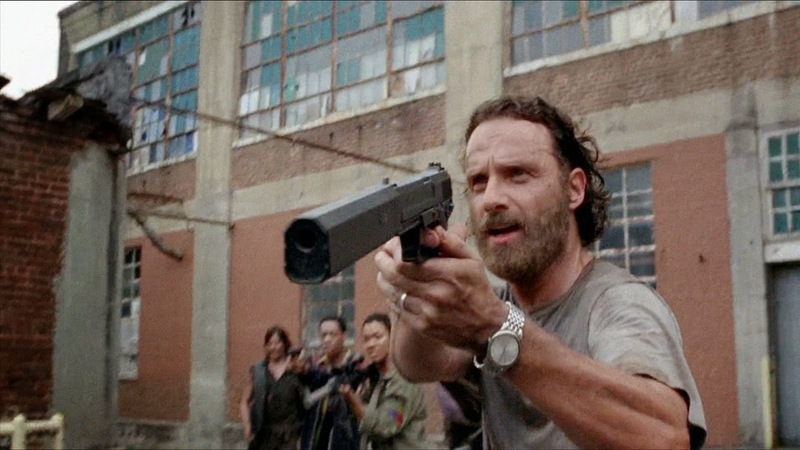 I am digging Rick's suppressed pistol, which looks to be a H&K with Silencerco Osprey. While Glenn has a chromed out Colt 1911, complete with Colt mag and some passable trigger discipline. Pretty nice. Hadn't noticed this one yet. And last spot o' goodness, some good zombie makeup effects used for the melted zombies. The end of the episode seemed to set up for the big action next week...the filler does get old. Anyways, what did you think of the episode? Good/bad? Any takeaways?